A media kit is like a resume for bloggers. It is a way to highlight your blog, your audience, your accomplishments, and your offerings to a potential brand or partner. 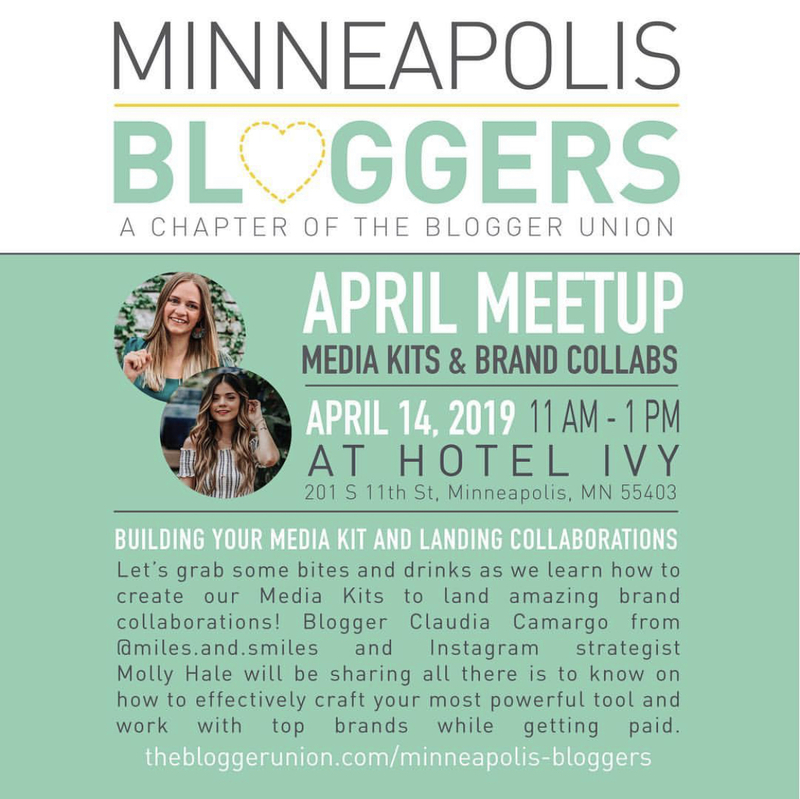 Come join us on April 14th, for some drinks and bites at @hotel_ivy_mpls to learn all about Media Kits. Instagram Strategist @mollyrhale and amazing blogger @miles.and.smiles will teach us all the tips and tricks to craft the perfect media kit. Join The Minneapolis Bloggers Facebook Group! Add this badge to your site & support Minneapolis Bloggers!